The forecast for a drought-busting El Niño this winter has Californians as giddy as kids at Christmas. 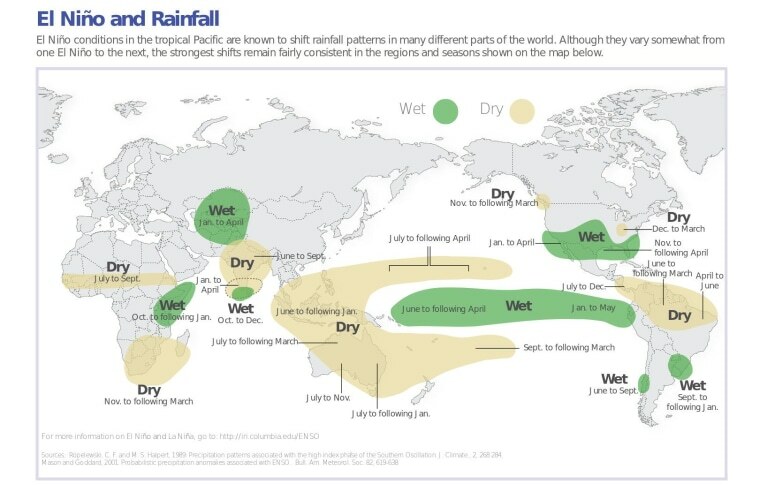 An El Niño is the warm phase of a natural Pacific Ocean climate cycle driven by sea surface temperatures. The redistribution of hotter versus colder surface water triggers changes in atmospheric circulation that influences rainfall and storm patterns around the world. Email Becky Oskin or follow her @beckyoskin. Follow @livescience on Twitter, Facebook & Google+. Original article on Live Science.